PENDING FOR SALE! INFO Subjected to Change! VANTAGE BAY, the most exciting and anticipating development in 2014, is strategically located right at the heart of Johor Bahru CBD (Iskandar Malaysia Zone A)! 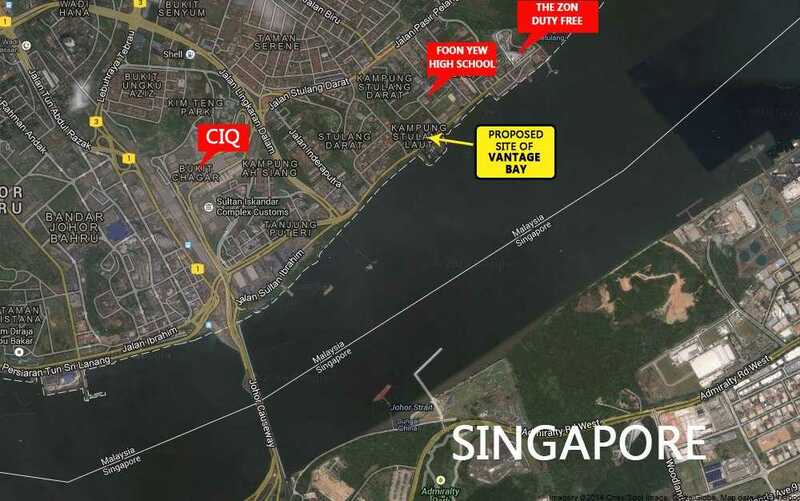 Vantage Bay is merely 1km away from the Woodlands – Johor Bahru CIQ (Customs, Immigration and Quarantine Complex)/ Checkpoint building, and walking distance to the the proposed future RTS (rapid Transport System) that connects directly to the Singapore Woodlands MRT Interchange. With the unparalleled convenience, Vantage Bay is believed to attract huge interest from local and Singaporean who frequently travelling across the border. A 75-storey of twin towers, that are set to become one of the tallest buildings in Malaysia, with striking views of the Strait of Johor and Singapore’s skyline. An integrated retail and entertainment mall as big as to Singapore’s largest retail and lifestyle mall – Vivocity! A hotel and office blocks will also be linked up with the shopping mall, giving synergy to the vibrant commercial activities that are soon to come. A Medical Hub, which run by Singapore based Thomson Medical Hospital. The Medical Hub consists of medical suites and apartments. Thomson Specialist Hospital, a 300-bed tertiary hospital within the medical hub, will be focusing on diabetes, fertility, cardiology and oncology. Vantage Bay is designed by Singapore’s oldest and leading architect firm – RSP Architects Planners & Engineers, which had numerous awards over the years including prestigious ones like the BCI Asia Top 10 Architectural Firms, President’s Design Award, and the SIA Architectural Design Award. Some projects designed by RSP such as JCube, Ion Orchard, Clark Quay, Capital Tower, Westgate, Raffles Town Club etc. You can expect fantastic lifestyle features in Vantage Bay like pedestrian walkways with lots of greenery and open spaces. When the day turns dark, one will be tempted to take a stroll under the well placed canopies while alfresco dining outlets will dots the night sky, a similar design as Clarke Quay of Singapore. Vantage Bay = The “Clarke Quay of Iskandar”! With its premier location yet so near to Singapore, no doubt that Vantage Bay is poised to be one of the star attractions in Iskandar – a hot choice with great investment potential. A major bonus: Vantage Bay is 30% owned by Johor’s Sultan and family (The Johor Royalty)! This will further ensure the success of this project. Iskandar development is on the right track since it was introduced in 2006, and the transformation program of CBD had just begun in 2013, Vantage Bay is at the right timing to take advantage of the progress and development of Iskandar. Be the first in the running line with Zone A Johor CBD transformation, while market is stabilizing with most people adopting “wait and see” attitude! 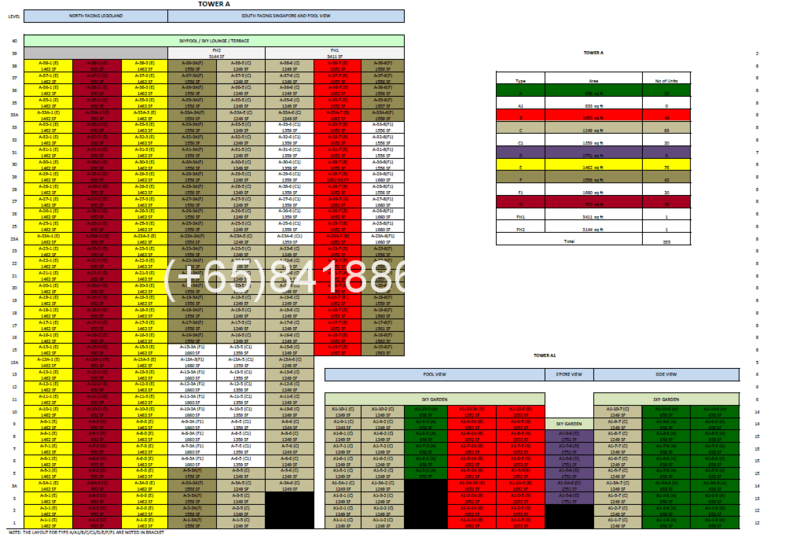 Rowsley is a Singapore-based investment company, listed on the Singapore Stock Exchange Main Board since 2002. The Company’s primary business activity is in investments, investment holdings & strategic investments and other related activities. Rowsley’s Strategy and direction are designed to provide a focused portfolio, which it plans to strengthen with significant investments in the coming years. The Company is convinced of Asia’s growth potential arising from growing affluence in the region. It will focus its investments in companies that effectively capture Asia’s growthing demand for energy, food and non-food resources and aspiring lifestyle. 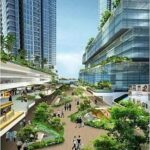 Vantage Bay will be designed by Singapore’s oldest and leading architect firm – RSP Architects Planners & Engineers, which had numerous awards over the years including prestigious ones like the BCI Asia Top 10 Architectural Firms, President’s Design Award, and the SIA Architectural Design Award. Some projects designed by RSP such as Ion Orchard, JCube, Westgate, Clark Quay, Capital Tower, Raffles Town Club, etc. ICONIC – A 75 storeys twin tower, set to become one of the tallest condominiums in Malaysia, with stunning views of the Singapore’s skyline and Strait of Johor. 3 minutes drive (1km) to the Woodlands Causeway and CIQ complex. Amidst a working population catchment area. Sitting on 9.23 ha land, equivalent to 13x soccer field! opposite Sembawang Park/Senoko in Sg. Vantage Bay is just next to Foon Yew High School at Lido Beach, it is appx 100m away from Duty Free Zone – “The Zon” where has ferry service from JB to Batam, Indonesia.